Visit Old Town's Discovery Sport page. 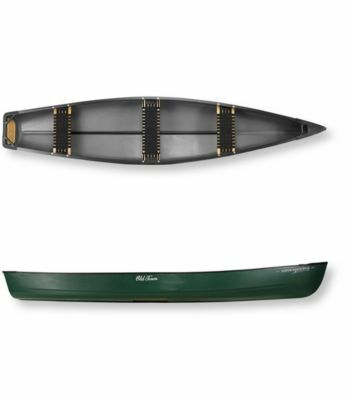 Built for rowing or motoring to your favorite fishing hole, the square-stern design and wide beam of the 15' Old Town sport canoe make it remarkably stable for casting. 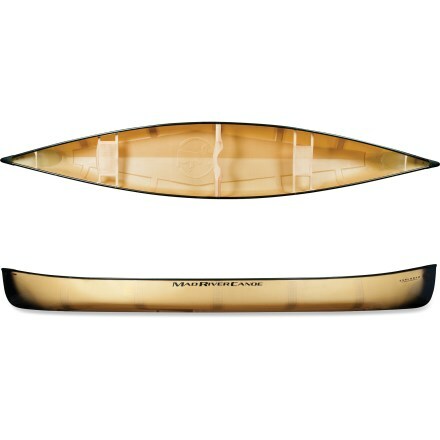 Durable three-layer polyethylene hull. Vinyl-sheathed keel helps it to track well in wind and current. 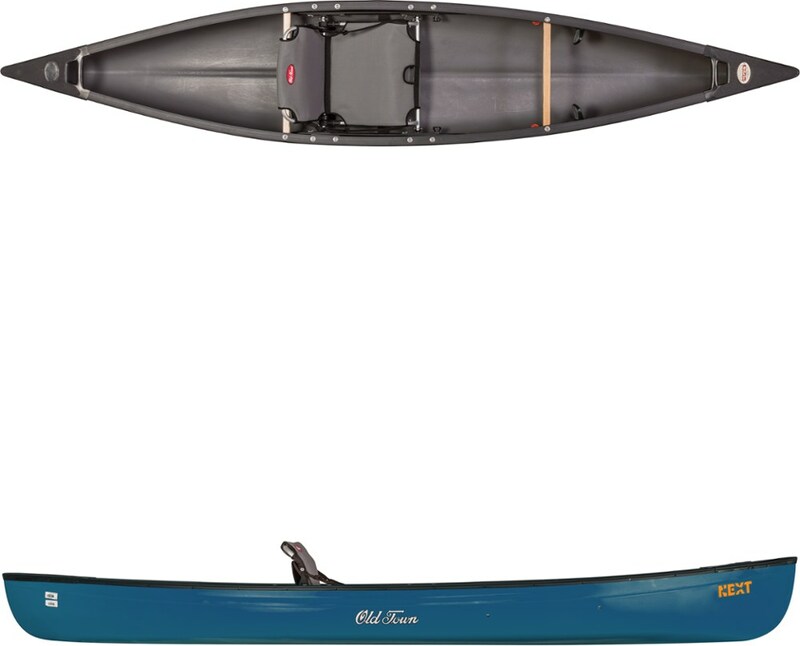 Comfortable nylon-web seats and vinyl gunwales with oarlocks are extremely durable. Accepts outboard motor up to 4 hp. 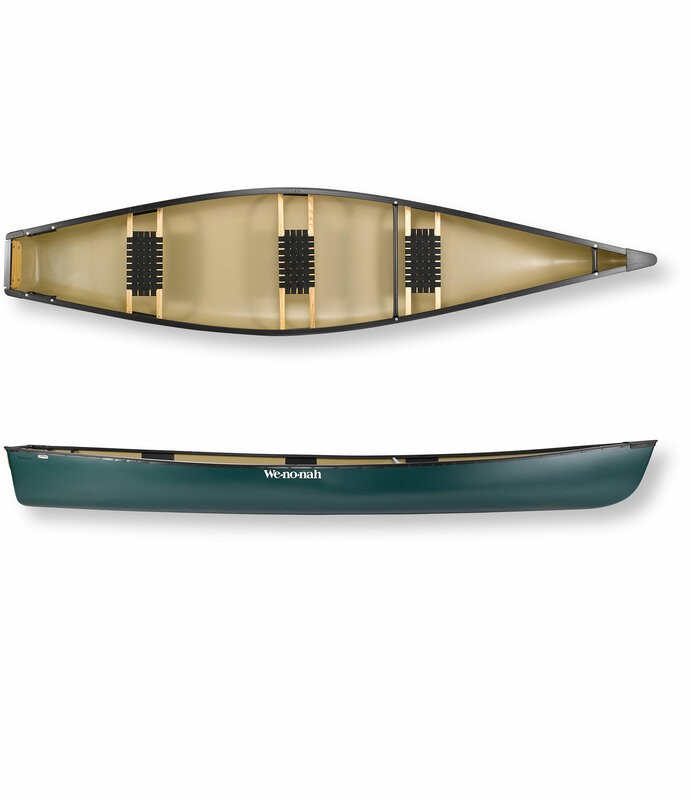 Rugged construction withstands dragging through shallow water. 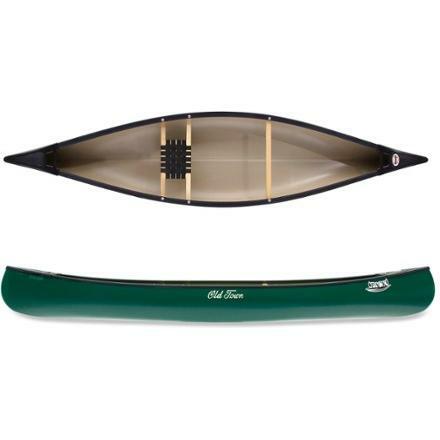 Oars sold separately. USA.